Building conceptual knowledge in students can be tough without the right manipulatives, without the time to make the lesson accessible, and, sometimes, without a good idea of how to look at the math visually ourselves. This site, Math is Visual, is a great place to start exploring how you can represent the math in a visual platform for students to see, think, question, discuss, and learn. The categories covered include data and statistics, measurement, and number sense. Check out this site and the videos they have to offer to see what you can use. Math is visual . . . let’s teach it that way! Heidie is a 6-8th grade math interventionist who recently went through Foundations of Math (FoM) in the Eastern Upper Peninsula (EUP) region. She has found it extremely helpful in working with and empowering her students. What follows is part 2 of her implementation story. Part 1 of her story appeared in a previous (Mi)2 newsletter. Alt+Shift: What is one challenge you encountered when implementing FoM and how did you overcome it? Heidie Lehmkuhle: One challenge I encountered when implementing Foundations of Math was proctoring the Number Knowledge Test for all my students. This test is similar to a verbal interview with students and it provides powerful and specific information about each student's understanding. With it I am getting more information than what questions students get right or wrong. I now understand what mental strategies students have in order to solve problems and what aspects of each problem they struggled with. Helping students build their understanding needs to be about more than simply helping them get the answer right. The Number Knowledge Test is helping me focus on a student’s process and strategies. Giving the Number Knowledge Test was challenging because I had to give my attention to one student while still being responsible for the rest of my class. In order to overcome this challenge, I did several things. First, I collaborated with our district’s Math instructional coach, who proctored some of the tests. I also asked my colleagues to let me use their paraprofessionals. I took time establishing classroom expectations for this test, and I communicated with our director of student achievement. Implementing this test for all my students was challenging, but the information I gained was invaluable. AS: Describe one implementation success you have had. HL: I first started to feel the powerful benefits of Foundations of Math when I heard one specific phrase said by one of my students. We were discussing the connections we had found for a specific topic. Then one of my students who was initially convinced he was "not a math person" added an incredible contribution to our discussion. All the students were left in awe at the math that was in their minds. Then another student muttered six words that proved to me an impact was being made. He said, "wow, this class is so advanced." They all agreed as they were still processing the information before them. It was my turn to have the 'deer in the headlights' look. I realized for the first time in their lives many of these students truly believed they were 'advanced math' learners. AS: What are your next steps in the implementation of Foundations of Math? HL: As the school year marches on, I will continue to use different components of Foundations of Math. Soon my students will learn about functions, and I already plan to use the ideas I have gained from this training to teach this topic. Most importantly, what I have learned will continue to drive my instruction. Three trainings of Enhancing Mathematics Instruction for Students with Learning Difficulties were completed in March. A total of 82 teachers went through the 3 day trainings. Within the three trainings were several teachers at the 4-5 grade level and even more at the high school level. The training recently expanded beyond the 6-8 level, and the teachers’ comments from these expanded grade levels have been positive. All teachers stated that they benefited from the training. They felt the use of the accessibility strategies aligned to the students’ strengths and weaknesses was highly valuable. Furthermore, they appreciated the techniques of using manipulatives and visuals to go from concrete to abstract. The 4th and 5th grade teachers gave no push back on the focus of the content being above grade level. They noted they gained strategies to assist in their students’ engagement and conceptual development of the concepts. For some of the high school teachers, there was a concern that the algebra was not high enough, however, they all saw the value in the use of the accessibility strategies. They also saw value in working collaboratively with their special education partners and appreciated the techniques to improve this. One high school geometry teacher was sent by his principal and was unsure he should be there. He later stated he experienced enough strategies and good practices that made it was very worthwhile for him. Delta Math Tier 3 lessons are currently available to stretch out the Concrete, Representational, Abstract (C-R-A) progression over the 8-day cycle using the modeling and guided practice problems from the Tier 2 lessons. Based on feedback from tier 3 providers, session 1, the re-engagement opportunity from the tier 2 lessons is no longer recommended for tier 3 instruction. Sessions 1 and 2 are both designed to build the mathematics using concrete tools. Sessions 3, 4, and 5 have students draw the mathematics. Sessions 6, 7, and 8 encourage using mental images of the concepts to write the mathematics and complete the C-R-A progression. View the support video “Standard-based Intervention Cycle Overview” if you are interested to learn how the Institute of Education Sciences (IES) recommendations are integrated with Delta Math intervention and progress monitoring resources. If you have additional questions about the implementation of the Delta Math RtI program, please contact Mike Klavon at mklavon@oaisd.org. Are you someone whose professional responsibilities include consultation or coordination related to the consideration and provision of assistive technology? Are you a member of a team using a collaborative approach to AT services? Are you wondering what is happening in other AT regions around the state? Alt+Shift is pleased to host a second AT Leadership meeting on April 12, 2019 to help connect AT professionals across the state to share their work, receive feedback on their work, facilitate discussions on topics of interest, and train each other on new processes and products. Building Capacity - How is your district or intermediate school district (ISD)/regional educational service agency (RESA) using a team-based approach to ensure AT consideration is happening and students are getting the tools/supports they need? How are you sharing information surrounding AT with your colleagues? Professional Development - Are there tools or resources that would benefit other AT professionals around the state? Regional Updates - What is happening in your AT Region? How do you structure your meetings? What activities are going on? 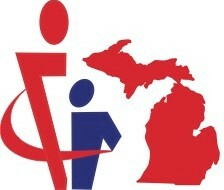 The AT leadership meeting online registration is now open. We hope you will contribute to the agenda and/or join us at Clinton County RESA in St. Johns on April 12, 2019 for this event. While there is no cost to attend, registration is required. Lunch will be provided. There is an option to attend virtually. Please contact Carolyn O'Hearn with any questions. State testing season is upon us once again. Another year where anxieties heighten in the hopes that our students are feeling prepared and confident to perform up to their potential. One way we can help students to build the important skill of metacognitive thinking and problem analysis is to build dialog into your regular classroom routine. Building our own repertoire of questioning to promote student thinking is a great way to help students build on the skill of justifying and/or critiquing not only their own work but that of others. This month’s educator’s resource can help! This Matrix for Questioning Within the 8 Mathematical Practices can help guide you in your questioning techniques, offering growth for both you and your students. Check out the suggested question prompts and try some out with your kids! April 15, 2019 at 3:00 p.m.
*This event is open by invitation to our current implementation teams. More information to come. Computer Science (CS) Fundamentals is a single day comprehensive professional learning opportunity to help educators implement computer science lessons and activities with elementary students. Course includes curriculum materials, lunch, online resources, and online management tutorials. SCECHs for all workshops will be available pending approval. All elementary educators are encouraged to attend. The lessons in CS Fundamentals are presented with the understanding that many teachers may not have previous computer science training. The resources provided will support educators in implementing the lessons and encourages educators to learn along with their students. There are several locations across the state with varying dates for this one day workshop. 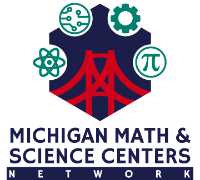 Find locations on the MI-CODING K-5 webpage. For more information on the course, check out the Computer Science Fundamentals flyer. Comprehensive professional learning for middle and high school teachers to provide an introductory level course for AP Computer Science Principles and Computer Science Discoveries. Teachers will be part of a state-wide cohort of educators and will be provided course information, pedagogy, teaching strategies, and online management tutorials. Participants are expected to teach the course in the 2019-2020 school year. SCECHs for all workshops will be available pending approval. 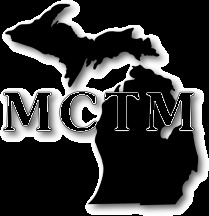 July 28- August 2, 2019 at the JW Marriott in Grand Rapids, MI. 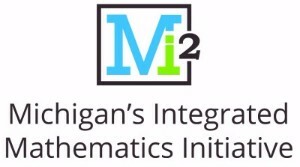 July 8-July 12, 2019 at Macomb ISD in Clinton Twp. For more information, please visit the MI-CODING website or see the Computer Science Principles and Discovery flyer for details. Building Thinking Classrooms (BTC) is the result of over ten years of research by Dr. Peter Liljedahl. Join us to experience high leverage practices that promote problem solving, questioning, and thinking along with accessible routines and grouping protocols that will increase opportunities for diverse learners. A local middle school teacher will share her implementation story. Secondary general and special education math teachers are welcome and encouraged to attend with building or district colleagues. Ongoing access to free resources via miPLACE will be provided. If you are interested in more information, please contact Shawna Veit at 586-612-7864 or Shawna.Veit@oakland.k12.mi.us.